Foreign Affairs Secretary Alan Peter Cayetano hits backed Vice President Leni Robredo for commenting government policy a "double standard" over diplomatic relationship to Kuwait. Robredo in a statement that there must be an "honest and candid acknowledgment of the crisis and willingness to accept accountability" pertaining to the series of killings in Kuwait over OFWs. 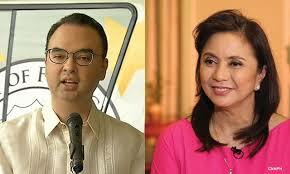 Cayetano thus assured,"I'd like to assure Vice President Robredo that we are accountable. We are accountable to the President, we are accountable to the people, we are accountable to God,"